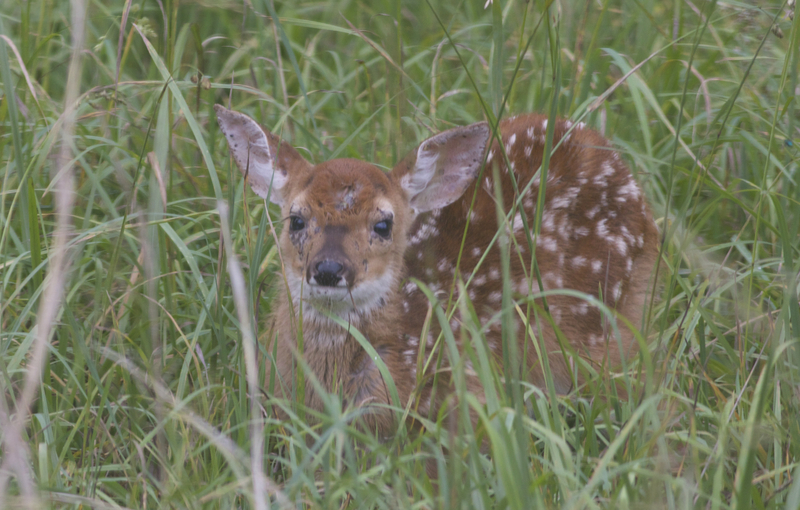 This 17 day old fawn, has been hanging around the tall grasses in the yard. The fawn is insect bitten, wet, covered in ticks, and has a injured from left leg. It has rained and been cold for June for 14 of his/her 17 days. Never the less, she keeps on going and going and going ! !